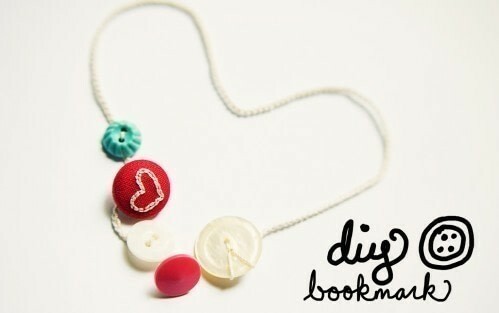 Turn your favorite buttons into your new favorite bookmark. People still read real books, right? 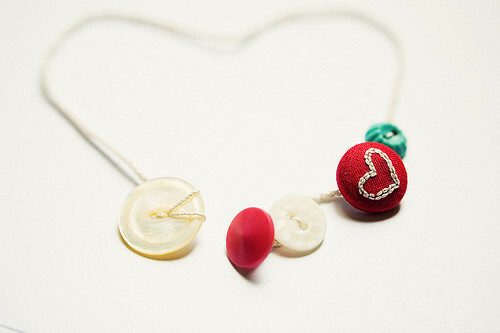 I love buttons–vintage, new, fabric, embroidered, knit, whateverrr. I just really like them all. Gather up your buttons, then decide on an order. The one on the far right will be alone, so it's a bit bigger. 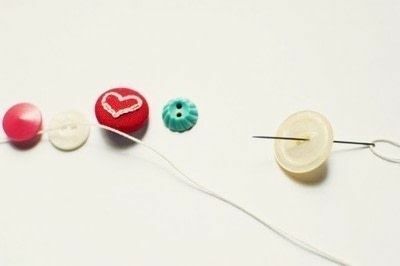 Thread your needle and start adding your buttons to the thread. In crochet, if you are going to include beads, or buttons in our case, you have to thread them on your string before you start crocheting. 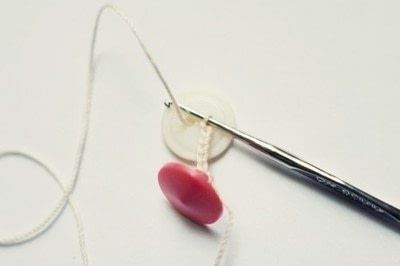 For buttons with holes (as opposed to the buttons with shanks), thread through the first hole from the back to front, then front to back through the next. Continue until all are threaded. 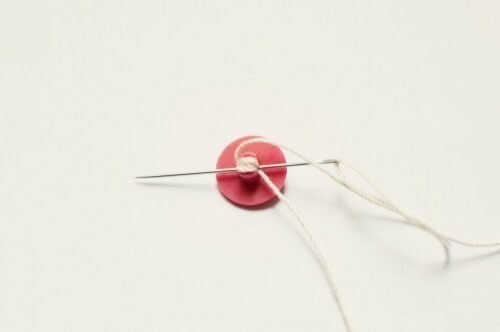 The last button you thread is the first we work with. 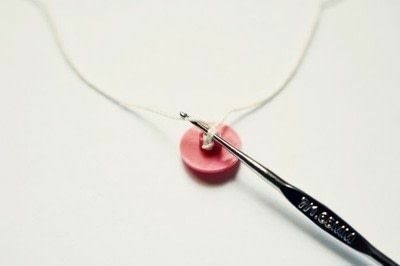 Mine is a shank button, so I wrap the thread around a few times to secure it. Knot the loose thread end. Push all the buttons down the thread toward the ball. Now we get to start crocheting. Forget about the thread end for now (we’ll weave it in later) and pick up the other end that leads to your buttons and grab your hook. Don’t be afraid! Shove the hook under 1, 2, or all the wraps behind the first button. With your hook under all the wraps, grab the working thread and bring it through. Now, you should have a loop on your hook! 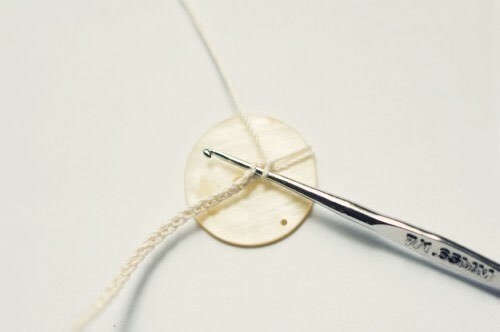 You’re ready for your first chain stitch. The chain is the foundation to crochet. 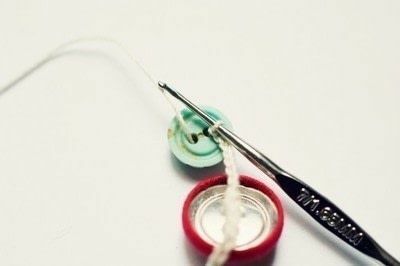 You basically wrap the thread around your hook and pull a loop through the loop already on your hook. You do so for however many chains you need. 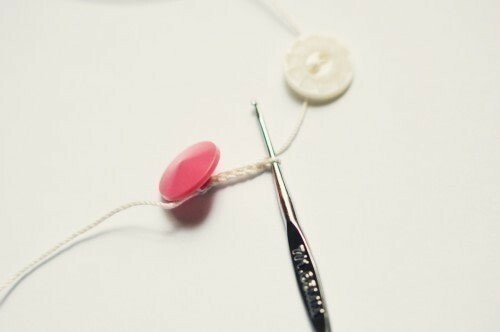 Make about 5 or 6 chains, then slide the next button down next to your hook. 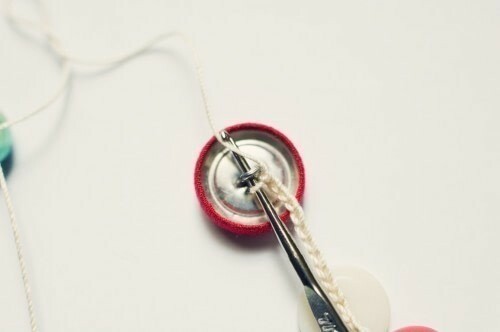 Scoot the next button up to your hook and chain it in. This one had a shank–a big one!– so I stuck my hook through it and grabbed another loop to chain it in even more. I did this a few times just because. It isn’t really necessary, but it’s an idea, if you feel your shanky buttons are too loose. Make some more chains, scoot the next button up, and chain it in. This was my second to last button on my thread. 125-ish chain stitches later, you’re ready to attach your final button (if you’re adding more than one button to this end, crochet them in the way we did on the other side). Bring in real close and chain it! You could make an extra chain, cut your thread and call it a day, or do what I did and secure that baby in a little more. To do so, I pushed my hook through one of the holes in my button and grabbed the yarn OVER the button from the front to the back, then I grab the thread over the button again and make a chain stitch. After that, I slip stitch into my chain by pushing my hook through one of the stitches and pulling a loop of yarn through the chain and the loop on your hook. Make one final chain to fasten off. I LOVE THIS! Thank goodness I have an itty bitty knitting needle! Great idea! 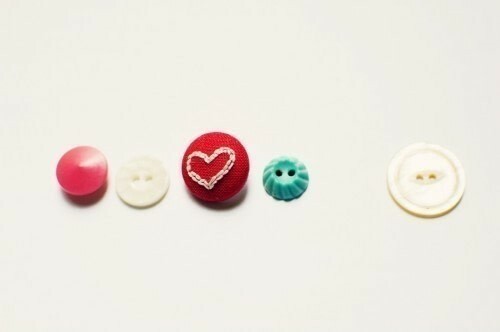 I love buttons too!